Beyoncé’s two glorious performances at the Coachella Valley Music and Arts Festival have the world talking. 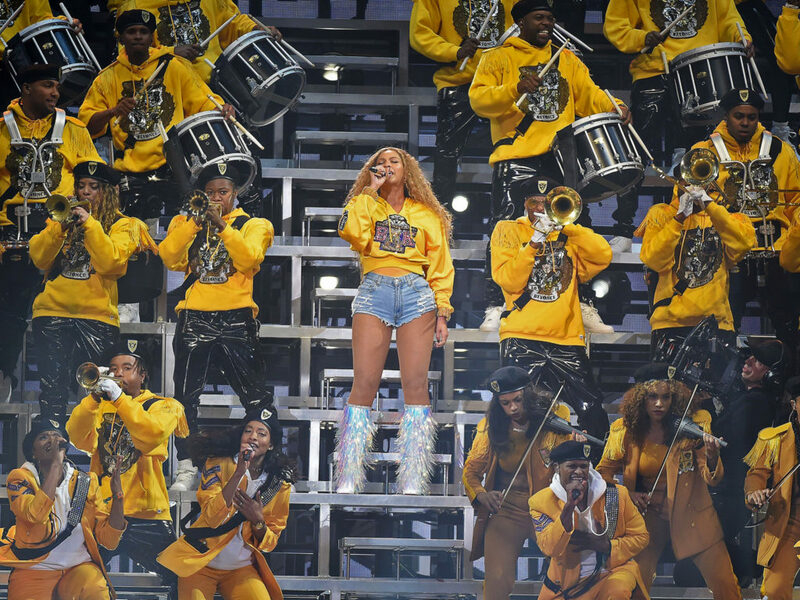 Backed by bleachers stacked with dancers, drumlines, and a marching band arranged in a pyramid, she has been trending on social media for days and breaking Youtube records. We are also loving her custom-made Balmain wardrobe. Balmain made costumes for her, her dancers, musicians (almost 200 of them) and guests performers, including: Kelly Rowland and Michelle Williams (Destiny’s Child Reunion), her sister Solange and husband Jay-Z. In her first appearance at Coachella last weekend she wore yellow, in homage to her highly successful “Lemonade” Album and today she wore pink. 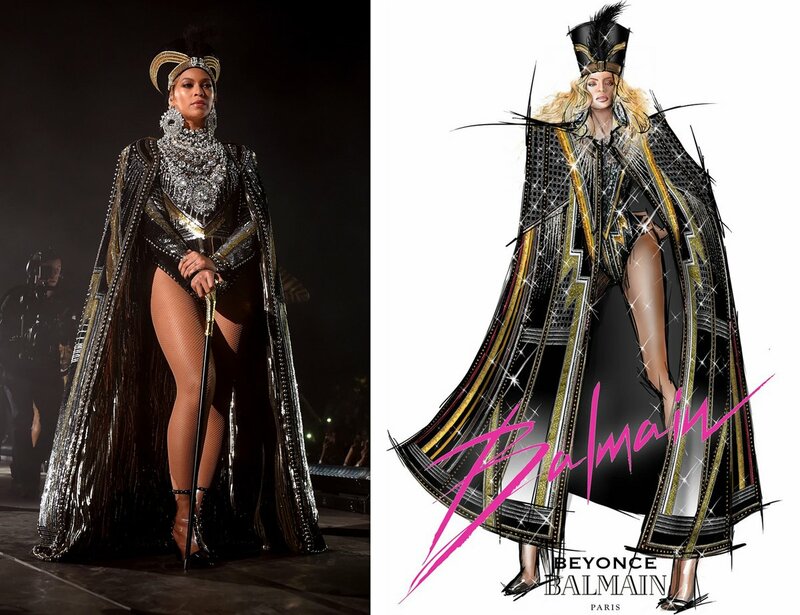 Creative Director of Balmain Olivier Rousting worked closely with both Beyoncé and her stylist Marni Senofonte to create the costumes for the performance. Olivier said in an interview to Vogue about working with Beyoncé: “I was able to be in the room with her and she would give me direct feedback about how the lighting should hit the clothes, what the music had to emphasize about each look—I never had to guess what to do next”. Olivier also created an Egyptian goddess inspired look for her first appearance that included a “crystal-bedecked body suit and cape, complete with feather headdress”. Beyoncé performance at Coachella was so impressive that fans are now calling the event “Beychella”, she really owned the stage. 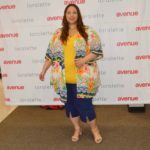 The singer also made history as the first black woman to headline the festival making up for having to cancel her performance last year due to being pregnant with twins. Lady Gaga performed in her absence. It was worth the wait, right guys? What a show! 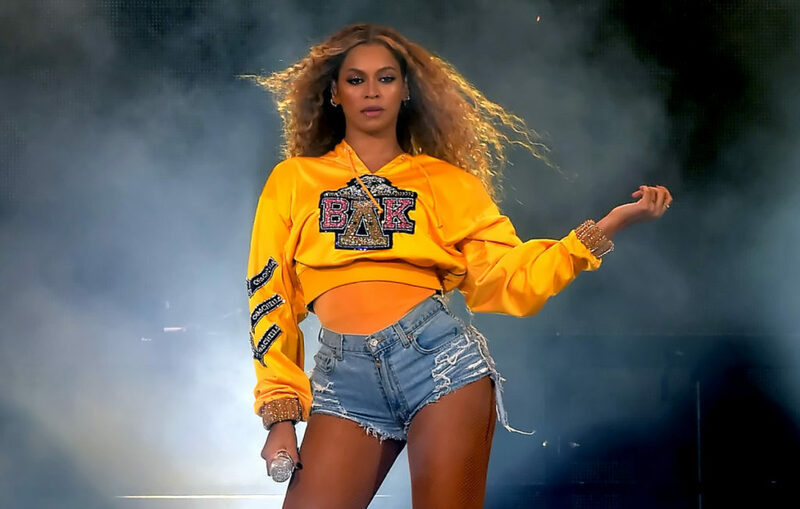 What did you guys think of Beyoncé’s performances and costumes at Coachella 2018? 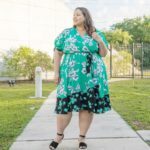 Let me know in the comments section below, let’s chat!